Easy to clean and impact resistant to reduce glassware breakage, the polyolefin top of this unit increases safety in the lab. The unit features a long, grooved, sloping counter that leads to a large, one-piece sink in the center with a hot and cold-water mixing faucet. 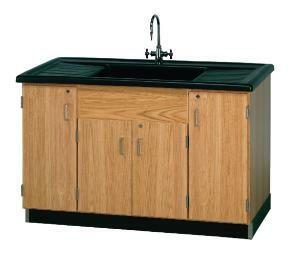 The cabinet base is constructed of hardwood and oak veneers for durability. Two adjustable shelves can be found inside the outer cabinets. 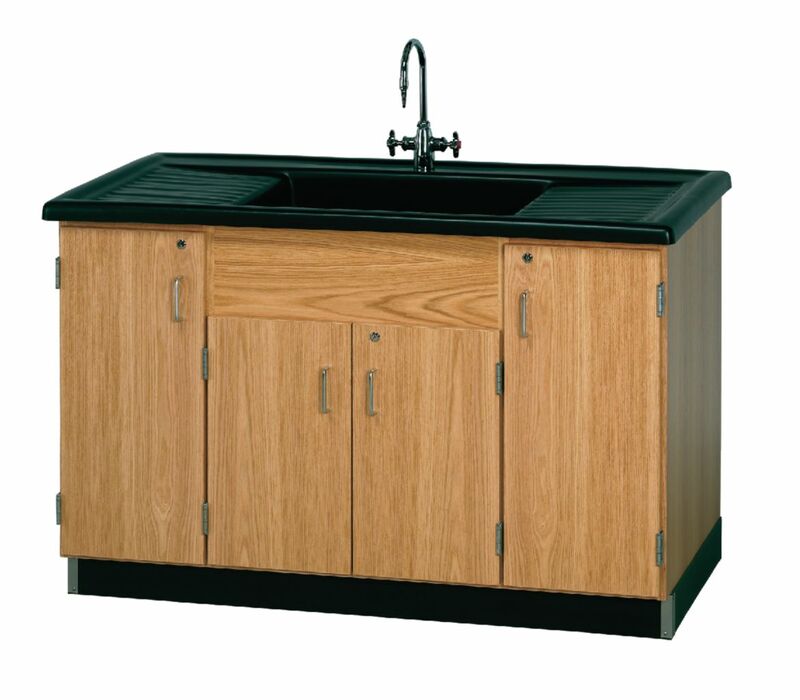 The sink includes pulls, locks, and rubber base molding. Ordering information: The unit is customizable. Please call to specify your choice of fittings, fixtures, door, and drawer configurations.